Twenty-four years ago, El Sayyid Nosair (yemach shmo v'zichro) shot Rabbi Meir David Kahane (HY'D) in a Manhattan hotel, following the Rabbi's lecture to an American audience about the need for emergency aliyah. I remember that terrible evening with the clarity that only real nightmares attain. I was in eighth grade, and I was watching WWOR's 10 o'clock news segment on Channel 9. The news anchor, Rolland Smith, opened the broadcast with the mind-numbing news that Rabbi Kahane was shot by an Arab, and that he was clinging to life. A short time later, we received the grim news; Rabbi Kahane was dead. Disbelief. Utter shock. I knew that someone special was stolen from the Jewish people. As early as second-grade, I started reading Rabbi Kahane's articles in The Jewish Press every Friday night. It was a Shabbos routine. While I'm sure I missed many of the finer points of the articles, young as I was; I could discern that there was something unique about the man. His writing was sharp, witty, and it cut like a scalpel. Certainly, I had seen the Rabbi's many “confrontations” on television, and there was a definite face to this remarkable man who behaved in a manner so unlike most contemporary Jews. He was fearless, and you instantly recognized that here was a Jew who truly didn't give a damn “what the goyim thought.” No apologies. Dignity and self-respect. These memories remained with me, and in my late teens I studied Rabbi Kahane's other written works. The first book that I read was “Never Again.” It changed me forever. In time, I became connected with those who were fortunate to know Rabbi Kahane personally, and had assisted him in his life's work to save Am Yisroel.“To save them from themselves,” as he so often noted. Tragically, in one of the most grotesque displays of legal injustice and anti-semitism in American history, Rabbi Kahane's killer was acquitted of the murder charges. It helped that Nosair had the talented but grotesque, self-hating, PLO-supporting, “jew,” William Kunstler as his lawyer. As far as the American government was concerned, they naively assumed that Rabbi Kahane's assassination was an isolated incident and chose to ignore it. Certainly, the murder of a man who was an unmovable obstacle in their path, who constantly fought American pressure on Israel with tooth and nail, was of no concern to them. They were glad to be rid of him. Yet ultimately, they paid a steep price for their inaction, with American blood. The failure of the American government to investigate the terror network responsible for Rabbi Kahane's murder allowed these same terrorists to slip through the cracks and strengthen their roots in the U.S. Today, Nosair is sentenced to life imprisonment in America, not for his murder of Rabbi Kahane, but for his role in the first World Trade Center bombing, which could have been averted had the U.S. government been paying attention. And by extension, the horror of 9/11 could possibly have also been prevented, had the U.S. government connected the dots in those early years. The clues were all there. Every year on the anniversary of Rabbi Kahane's assassination, I am inundated with feelings of profound loss, a desire to want to articulate these feelings, and an inability to do so. Much of my frustration stems from the disappointment that I was never fortunate to meet the man in person, though his teachings resonate throughout my core. Another impediment is the general inability (of this author at least) to truly capture Rabbi Kahane's essence in an article. What can one say about the kind of man who will surely not arise again in our lifetime, until the Messiah arrives? And yet, what can one do? Except perhaps to try to express a little something, pathetic and insufficient as it is, regarding this historically great Jew. This is not a full treatment of this great man, nor a comprehensive analysis of his many accomplishments, contributions, and sacrifices. These are simply a few reflections that I wish to share. I see Rabbi Kahane as a throwback to the times of the Judges and Prophets. He epitomized the very essence of mesirat nefesh in Judaism, self-sacrifice at the cost of one's life, the acceptance of the Yoke of Heaven, and the willingness to speak the painful truth, no matter the cost. Throughout his adult life, he willingly endured this cost, regardless of consequence. Imprisonment, harassment, confrontation, and eventually his own murder. Rabbi Kahane was a gadol in Torah, but he was also a warrior. A fiery kohen, who was fit to lead Am Yisroel in war. He was a master of the written word, a writer of immense talent, and an orator whose words could generate an internal fire within you, and raise goosebumps on your arms. Rabbi Kahane loved Jews with an authentic love. A tough love which compelled him to speak of unpleasant truths which many Jews were unwilling to hear. He understood that at the end of the day, the only one other than Hakadosh Baruch Hu that Jews could count on were other Jews. He had an allergic reaction to the desecration of G-d’s name, and to Jewish pain and suffering. Whenever and wherever Jews were in danger, Rabbi Kahane was there to fight for them. It didn't matter who the enemy was or what his perceived strength was. Nothing would deter him. Not the Godless Soviets who tried to eclipse the soul of Soviet Jewry, not the Neo-nazis and Black Panthers in America, or the Arabs in Israel. Rabbi Kahane faced them all, with his patented chutzpah, wit, and lack of self-concern. And in Eretz Yisroel, the Arabs were truly terrified of him. Like an enraged Shimshon Hagibor, the Arabs feared him, because much like Samson, his strength was an anomaly that they could not understand. It derived from the very personality of this magnificent tzadik. He had their number. When Rabbi Kahane first formed the JDL in the late 1960's to physically defend Jewish neighborhoods from anti-semitism, the Jewish Establishment condemned his use of violence, even as they chose to ignore the shocking rise of Jew-hatred, particularly within the black community. This was of course during the era of changing neighborhoods, and those Jews who were left behind in hostile regions, were always the poor and the elderly. Rabbi Kahane became their protector. As the JDL took on the broader issue to fight for the rights of Soviet Jews behind the Iron Curtain, the Jewish Federations only increased their vitriol and defamation. They viewed him as an embarrassment and and labeled him a violent extremist, whose actions were beyond the Jewish pale. Rabbi Kahane couldn't have cared less. He was a master of media relations and he understood that violence and confrontation were the only things that the media was interested in. Violence made headlines. 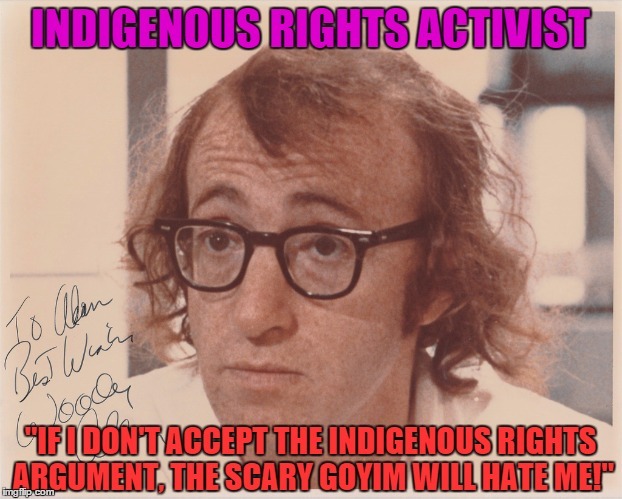 And violence forced respectable Jewish organizations, the Bnai Brith, the ADL, and others to adopt the cause of Soviet Jewry and a host of other Jewish issues they had chosen to ignore. In the era of the 1970's, when American Jewry saw their disaffected youth rally for the cause of anything and everything but Judaism, Rabbi Kahane wanted to harness the energy of young Jews. His lectures on campus were a powerful tool for him to reach many alienated Jews who never had someone explain their heritage. Certainly not a Rabbi. His impact on the many young Jews who chose to explore and return to their Judaism, is another legacy of Rabbi Kahane's. There are untold numbers of Ba'alei Teshuva who cite Rabbi Kahane as a major influence on their return to Torah. Rabbi Kahane had an encyclopedic knowledge of Torah. He didn't merely obtain semicha as some sort of rabbinical certificate. The study and teaching of Torah were his life, and one of his greatest contributions to Am Yisroel were the sifrei kodesh he authored, which dealt with fundamental Jewish concepts and halachot that no other rabbis addressed. Along with his magnum opus, The Ohr Ha'rayon (The Jewish Idea), he authored several other seforim, such as his fascinating Pirush Hamacabi commentary on the Chumash, and his Al Ha'Emunah, V'all Ha'Geulah. The former Sephardic Chief Rabbi of Israel, Rabbi Mordecai Eliyahu (of blessed memory) often praised Rabbi Kahane's knowledge of Torah, as did Rabbi Moshe Tendler, shlitah, who eulogized Rav Kahane as a gadol in Torah. Yet Rabbi Kahane was not a one-issue personality, as those who know nothing of his authentic teachings are wont to believe. The Arab question was essential and integral, but merely one component of Rabbi Kahane's comprehensive program for saving Eretz Yisroel and Am Yisroel. His Torah ideology was a sophisticated, intellectual, one which grasped the significance of our miraculous age, and accepted the challenge to turn the State of Israel into a true Torah state in all its many facets. He sought to create an entity that would eventually be a precursor to the coming of Moshiach. The small minded Jewish leaders and lay people (religious and otherwise) who condemned and smeared him were dishonest when it came to addressing the logical Halachic issues he raised, and worst of all, something that the great man always resented, they were afraid to debate him on these very same issues. They naturally feared him, because intellect and intellectual honesty always trumps ad hominem attacks, and in a debate on Jewish issues, they would have come up short. That is an understatement. He would have dissected them intellectually, as he always did during debates, radio interviews, or question and answer sessions with hostile individuals. The pathetic excuse of not wanting “to dignify his remarks” or “place him in the bounds of intellectual discourse” was aggravating enough when it came from hypocritical secular Jews. But when it came from religious Rabbis who knew that Rabbi Kahane's message was predicated solely on Torah, the refusal to engage in debate was beyond grotesque. When Rabbi Kahane made Aliyah, he addressed the existential Arab threat facing Israel; the problem of demography, and the inherent contradictions between Western Democracy which allows the voting Arab to become a majority one day (even theoretically), and a Jewish State, which by definition must remain Jewish lest it become something else. He was the first to throw the “T” word out, TRANSFER, which raised the blood pressure of the Left, who only tolerate the word when it is applied to Jews as we saw during the Gaza expulsion of Jews. Of course, then they use the ridiculous euphemism, “evacuation”, as if they are saving Jews from a typhoon or an earthquake. If Jews are stoned today from atop Har Habayit, it is because Labor and Likud are committed to appeasing Arab terrorists. While the Arabs set Jerusalem on fire, and run over Jewish babies with their new “car intifada,” Netanyahu grovels before the head dog of Jordan to assure him that he needn't worry. Jews will not be able to pray on Har Habayit. If Arabs are ramming their cars into crowds of Jews, crushing our brothers and sisters, it is because Israel's leadership fails to grasp the message. If Arab lynch mobs, armed with knives and deadly weapons, are roaming Jerusalem to spill Jewish blood, it is only because our leaders are impotent, fearful, and weak. They silenced Rabbi Kahane, and the Jewish people are bleeding for it. Those who condemned Rabbi Meir Kahane in his lifetime and death contributed to the murder of fellow Jews. Those who labeled him as an un-Jewish aberration will one day have to answer to the Almighty, for the blood that stains their hands. The problem is that mainstream Jewish leadership remains as clueless as it ever was. No respectful politician will broach the subject of transfer. They are too committed to concessions, or the notion of respectability. The Arabs of Israel are a lethal contagion. Their presence guarantees the murder of Jews. And they are growing stronger. Rabbi Kahane was the only one who presented a framework for authentic Jewish leadership that never compromised on the issues, even if it cost him votes, or led to the banning of his party (which it eventually did.) For as history has shown, the KACH party under Rav Kahane never compromised. As such, they terrified the establishment since their integrity to their values was total. Eventually, they were banned from the Knesset as a racist party, when the grotesque collusion of Labor and Likud joined hands to ban Kach. Similarly today, the ideological battle must remain pure and unaffected by foreign influences. There are various individuals out there that present a skewed hybrid message, which purports to be “right-wing” but compromises on many issues and the Halacha. Rabbi Kahane's undiluted Torah message is as imperative as it ever was. And the Halacha still hasn't changed regarding the Arabs and other hostile gentile elements that endanger the Jewish body and soul. They still must go! One can choose to minimize the issue, question the current demographic threat, or sidestep the issue, but the theoretical question remains to be answered. Should the Arabs who vote be allowed to undo the Jewish State through legal processes? Transfer. The word the Left demonized and labeled a racist concept. Yet Rabbi Kahane prophetically noted that the failure to throw out Arabs would eventually lead to the expulsion of Jews from parts of Eretz Yisroel. Rabbi Kahane foresaw the unnatural birth of Oslo. He understood that the failure to transfer Arabs would eventually lead to the expulsion of Jews from their homes to appease the Arabs. Long before that accursed day when Rabin shook Arafat's bloody hand on the lawn of the White House, Rabbi Kahane thundered the terrifying choice that Israel had to make. Kahane or Arafat. We know how history unfolded. Evil men in power committed treason and illegally engaged with the PLO behind the Nation's back. The Erev Rav chose Arafat, and rammed the lunatic decision down the throats of every Jew living in Israel. What can we do today in Rabbi Kahane's absence? Whatever we can, each of us to the extent of our abilities. Within the reach of our arms. We must continue to spread his message. Rabbi Kahane may be gone, but Chazal have taught us that even in death the righteous live on. Yet, they only live if we give their teachings life. Life beyond the computer keyboard or social media outlets. 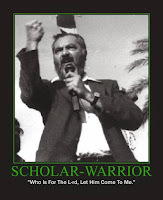 Rabbi Kahane was no armchair activist. 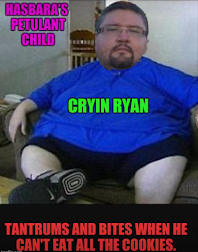 The street was what made him a Jewish gibor. Ideology articulated with action. Without implementing Rabbi Kahane's ideas on the ground, his ideas will remain relegated to books, discussions, and various other outlets for armchair activism. Read Rabbi Kahane's timeless books, “They Must Go!” and his final say on the matter, “Revolution or Referendum.” Read his Torah works. Internalize the message. Rabbi Kahane wasn't just right when Jewish blood spills freely in the streets. That's a visceral reaction that unfortunately dissipates in time with most people. Use your head. If he's correct today, then he's correct tomorrow. Don't be a bandwagon “Kahanist” or what Rabbi Kahane referred to as a “closet Kahanist”. Let his words resonate across the country, nay, let them thunder across the world. And let the deaf and dumb politicians in our midst hear the message loudly and without any confusion. Rabbi Kahane is still alive. Thanks John for the feedback. Appreciate your sentiments. Stay in touch.